Pantothenic Acid is water soluble and is the main component that makes coenzyme A (CoA) in the body. CoA is found in all living cells making pantothenic Acid essential to sustain life. Beta-alanine, also a component of vitamin B5, is metabolized from the amino acid alanine. 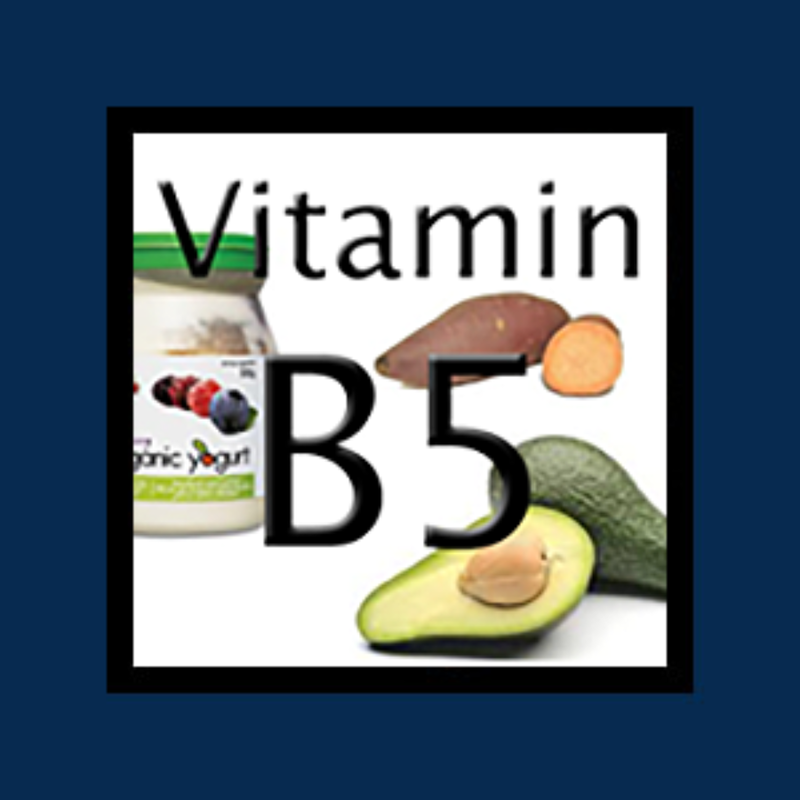 Why do you need Vitamin B5 (Pantothenic Acid)? The highest concentration of CoA is in the liver with the next highest concentration being in the adrenal glands. The high concentration of CoA in the liver makes it possible for the body to detox the many toxic substances we are exposed to, including alcohol. With high concentrations of CoA in the adrenals, the adrenals are able to make the hormone corticosterone. This hormone is critical as it helps the body to respond to the many kinds of stress we encounter. Mega-doses ranging from 500mg to 2000mg have been used to treat various conditions. However, lower doses are more typical. It should be noted that dosages as high as 30,000 mg have shown great success in the treatment of acne. Pantothenic acid is a water-soluble vitamin and unlikely to reach toxic levels as your body simply eliminates what it cannot use. Mega-dosages of any vitamin can cause some discomfort, generally in the form of gastrointestinal upset. If this occurs, simply reduce the dose until the discomfort discontinues. Stress! Is There A Vitamin B5 Deficiency Link?